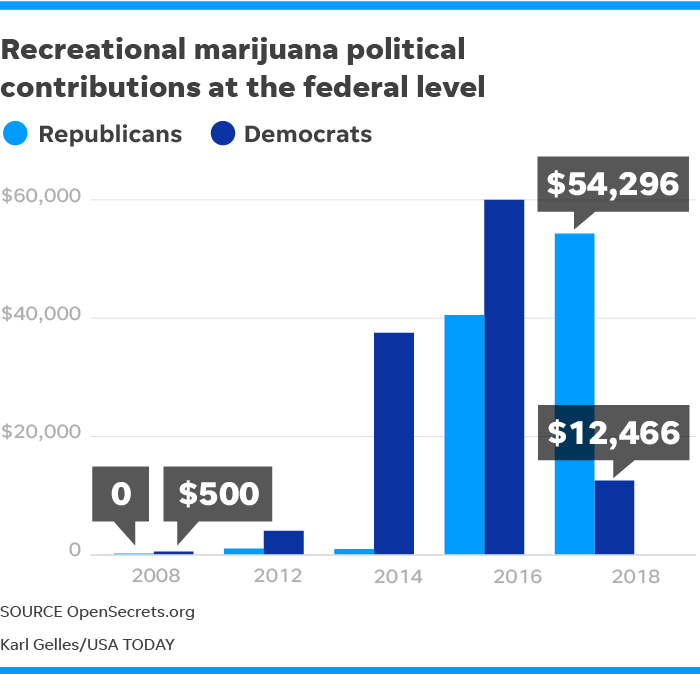 “Marijuana money increasingly flowing to Republican lawmakers” https://www.usatoday.com/story/news/2018/01/21/marijuana-money-increasingly-flowing-republican-lawmakers/1042239001/ “Marijuana business owners are increasingly pouring their profits into lobbying lawmakers as they face a federal crackdown from the Trump administration. “In the third week of November, the DEA took unprecedented action in finally approving THC for consumption as a federally regulated Class II-level substance. This may sound like great news, but the details will disappoint. This particular THC – which was also approved by the FDA last March – is completely synthetic, and is not made from pot. Nor has pot become recognized as legal; to the contrary, the synthetic substance known as delta-9-THC (or simply dronabinol) was created with no vested interest in cannabis legalization, and is the only federally legal THC that exists. Only one company is able to sell it to the public. Donabinol, created to relieve nausea in cancer patients, comes in only one form: a liquid spray sold under the name Syndros. Syndros is manufactured exclusively by pharmaceutical Insys, a company which came under fire in recent months for bribing doctors to supply a form of the often-fatally potent opioid, Fentanyl, to patients who didn’t need the medication. Though this created a massive lawsuit that forced the founder of Insys to resign, the company is still up and running and, inexplicably, is the only establishment in the country that the DEA and FDA have approved to supply synthetic THC. “As federal prisons run low on guards, nurses and cooks are filling in” https://www.usatoday.com/story/news/politics/2018/02/13/ill-equipped-and-inexperienced-hundreds-civilian-staffers-assigned-guard-duties-federal-prison-secur/316616002/ “Hundreds of secretaries, teachers, counselors, cooks and medical staffers were tapped last year to fill guard posts across the Bureau of Prisons because of acute officer shortages and overtime limits, according to prison records reviewed by USA TODAY and staff interviews. Former Attorney General Eric Holder slammed Attorney General Jeff Sessions on Monday night for firing the deputy FBI director, and said Sessions needs to be able to stand up to President Trump and not do everything he wants. “You’re the attorney general of the United States. 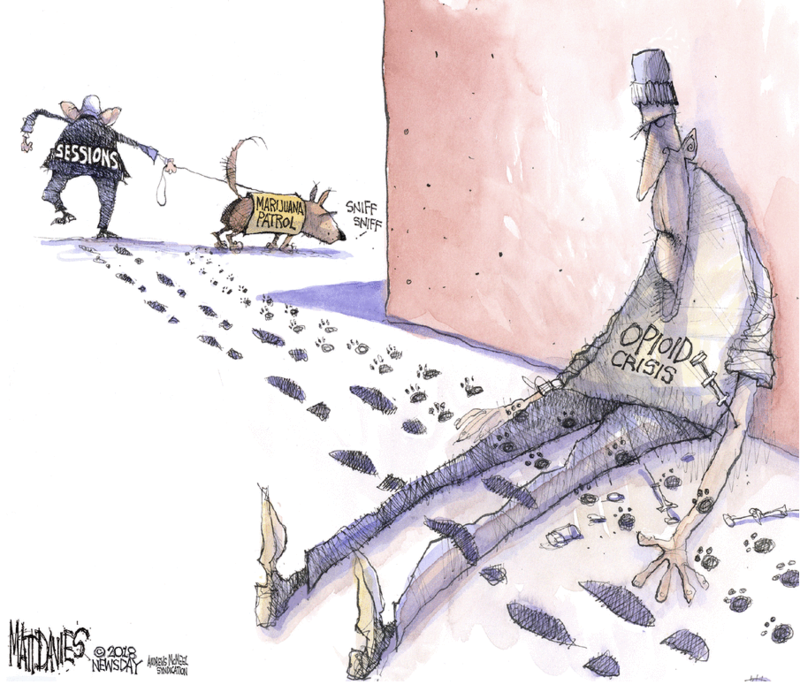 You run the damn Justice Department, you know?” Holder said in remarks at Georgetown University on Monday night. “Trump suggests he will support ending federal ban on marijuana — putting him at odds with Sessions” https://www.nydailynews.com/news/national/ny-news-trump-marijuana-sessions-20180608-story.html “President Trump said he likely will support a congressional effort to end the federal ban on marijuana, a major step that would reshape the pot industry and end the threat of a Justice Department crackdown.